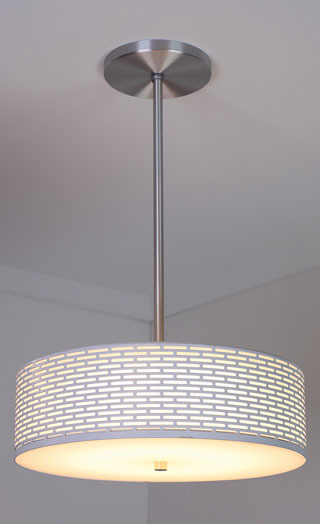 designs reflect a contemporary interpretation of the art deco and machine age aesthetic, where strong, simple geometry and graceful curves mix with a taste of color and metal finishes to create a dramatic and unique style. 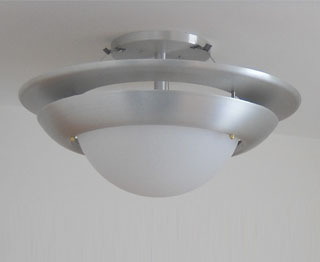 designs and manufactures this line of distinctive, high quality luminaires for the contract and residential market. Donovan Lighting has been turning the designs and concepts of architects and designers into finished products with our custom capabilities. 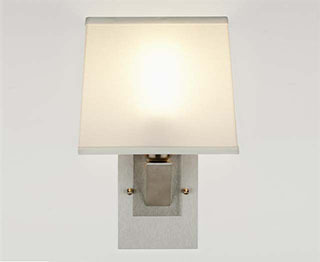 Universities, restaurants and corporate facilities have used Donovan fixtures to distinguish themselves as unique. 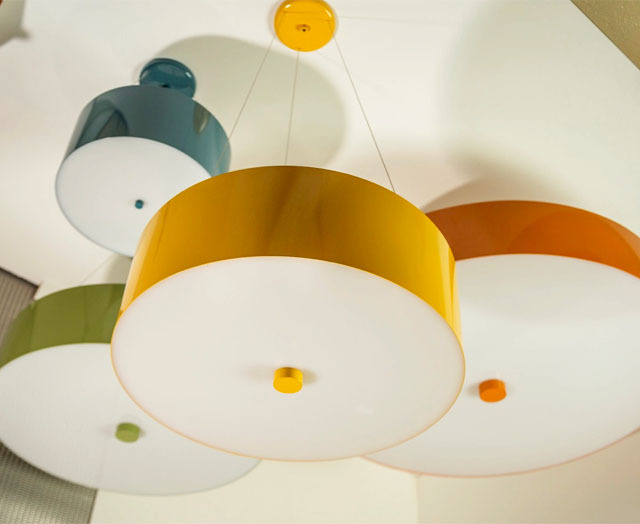 Powdercoated steel drum shade fixtures with LED array lighting and opal acrylic bottom diffusers From 1420 lumens (blue) to 4000 lumens (orange). 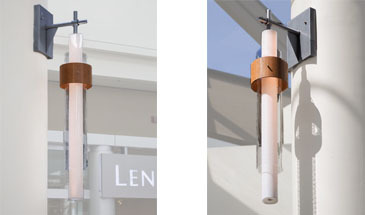 A column mounted pendant fixture of Cherry wood and acrylic, both clear and matte white. 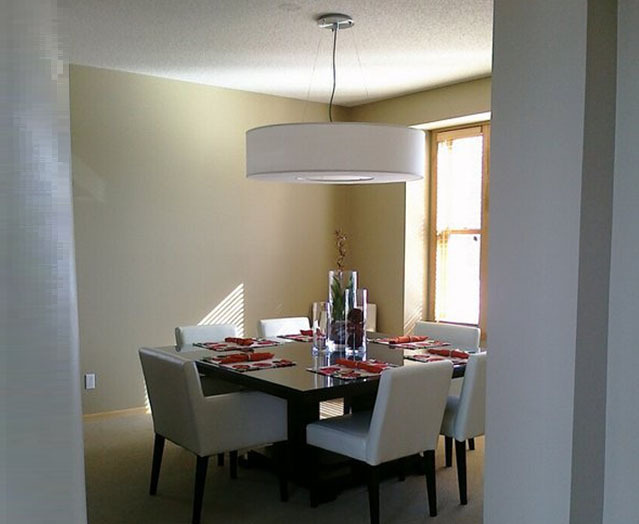 The fixture is illuminated by 4 LED strips, 2700 K color temp. It is not turned on in this picture!!! 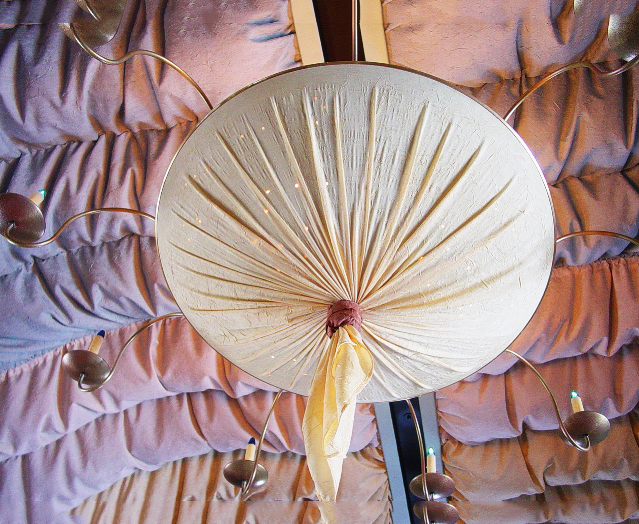 This is one of 8 pendants made for a shopping mall in New York State.